Blocked | Inside the mind of lulupants! Ive been a bit busy lately but its no excuse for not doing what I love the most. Everyday i sit down and start to write a post but somehow I cant get finished. I cant put my finger on what it could be but my writing has been a little off lately. I have over 15 post that sounds like crap, when i try to finish or read what Ive written so far I decide not to even bother to post. 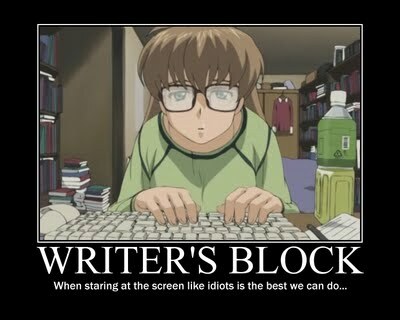 Has anyone experienced writers block or whatever it is that’s happening to me? I remember being able to sit and just write but its not flowing in as easy anymore.